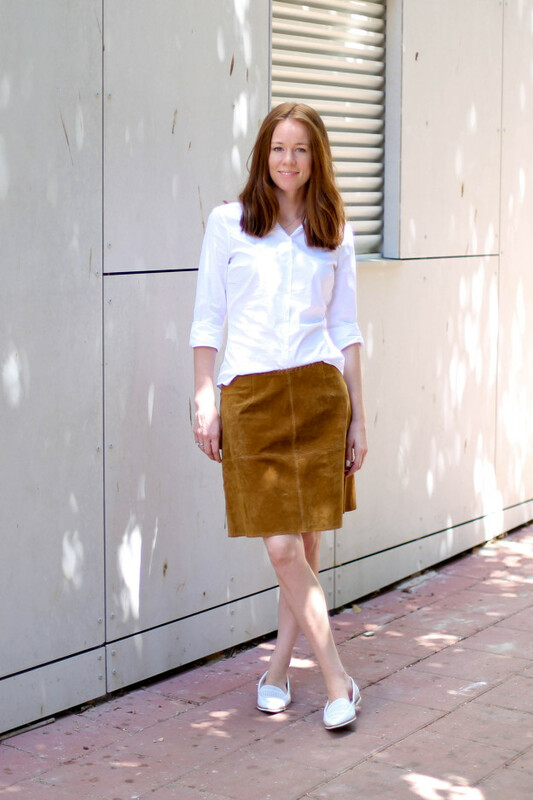 This skirt has been on my mind for months now , Well not this skirt exactly, but any other camel suede skirt. I’m having one of those moments we all have every now and then, when we can’t imagine life before a certain piece enters our wardrobe. This skirt would also be great paired with a turtleneck for fall. Apropos of fall, anybody else but me can’t wait a second longer for fall to arrive? Love your skirt and flats !